CONNAUGHT PLACE! 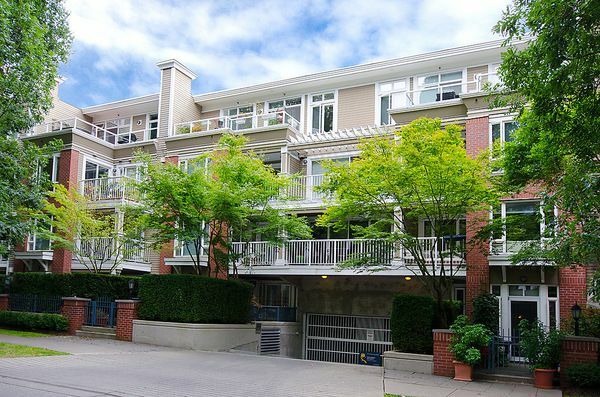 Fantastic location within Arbutus Walk. 1 bedroom & den Garden level suite with townhouse style entry. Very efficient and open floor plan with 9' ceilings, gas fireplace, in suite laundry, 1 parking and 1 storage locker.Great large outdoor patio perfect for entertaining or gardening! Approx. $20,000 spent on Recent updates: Rift and Quartered White Oak Hardwood flooring throughout (2012), Upgraded kitchen faucets, Patio landscaping and irrigation system (2013), new blinds (2012) and professionally painted (2013). Investment opportunity (previously rentedfor $1700/month), or move in today! WALKSCORE 93/100. Priced BELOW city assessed Value ($435,000).